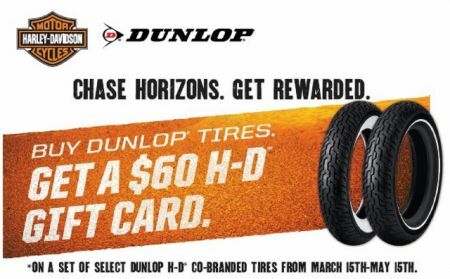 Receive a $60 Harley-Davidson® Gift Card via a mail-in rebate with the purchase of a set of Dunlop®H-D® tires! 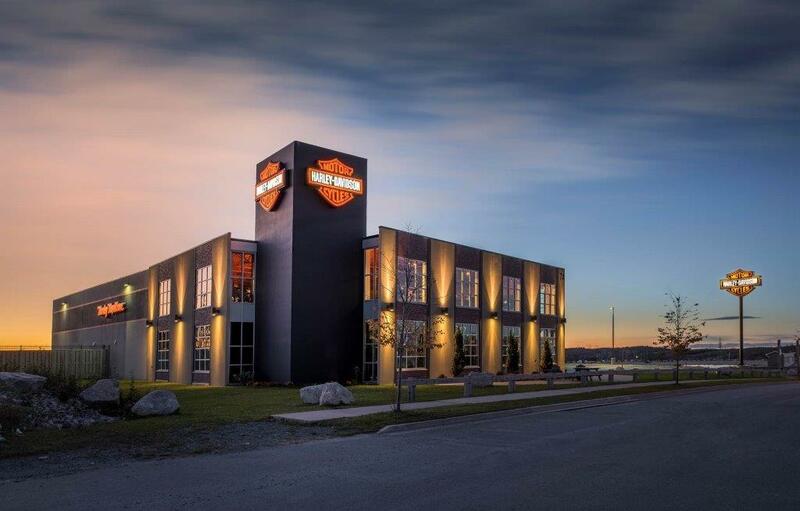 Pick up your rebate form at the parts or service counter when you purchase a set of Dunlop®Harley-Davidson® tires and get road ready now! Eligible tires include all Dunlop®-Harley-Davidson® co-branded tires, except for police specific tires. Customers can visit www.datarebate.com to register their purchase, email help@datarebate.com or call 1-877-630-2345.